Our Singapore (SG) Heartlands, the places that we lived in and grew up in, something close to our hearts, minds and souls. While Singapore is a small country in size, our various Housing Development Board (HDB) Housing Estates does have its own unique characteristics and community. It can be an interesting adventure to walk around various HDB estates heartlands and explore the area, especially when they have a mix of older and younger generation HDB blocks of flats. There was a recent project: MND Heartlands by Ministry of National Development, a social media campaign to encourage Singaporeans to explore the places and spaces around them. There were a few heartland walks around Singapore recently too and when I received news that fellow photographer Weili organised a Heartlands Instawalk to my Clementi Heartlands, and Aik Beng was going to lead the Heartlands Instawalk into my heartland Clementi estate, I came forward to help out Weili and Aik Beng in bringing them around my Clementi heartlands. Clementi Heartlands is interesting with a mix of older and new HDB blocks, with beautiful greenery near the Sungei Ulu Pandan and Ulu Pandan Park Connector. We met nearby at the Clementi MRT Station and proceed walking up towards Clementi Avenue 4, through the Clementi Community Centre. Along the way, Aik Beng shared a lot on mobile photography tips to the participants, highlighting to them the things/perspectives to look out for. I wasn’t too actively taking photographs on my iPhone 5 and uploading onto Instagram nor taking many photographs with my Canon DSLR. Since I was helping Aik Beng in leading the Clementi Heartlands Instawalk, I had to spend more time leading and looking after the group of participants! I double up as a historian for the walk because this is my Heartlands for 30+ years! Nevertheless, it was fun and enjoyable, something that I enjoyed doing it and used to organise such walks for friends last time! Upon reaching Sungei Ulu Pandan and Ulu Pandan Park Connector, we walked along the Park Connector and they could view the Sunset Way Old Railway Bridge and the greenery surrounding the Clementi Heartlands. 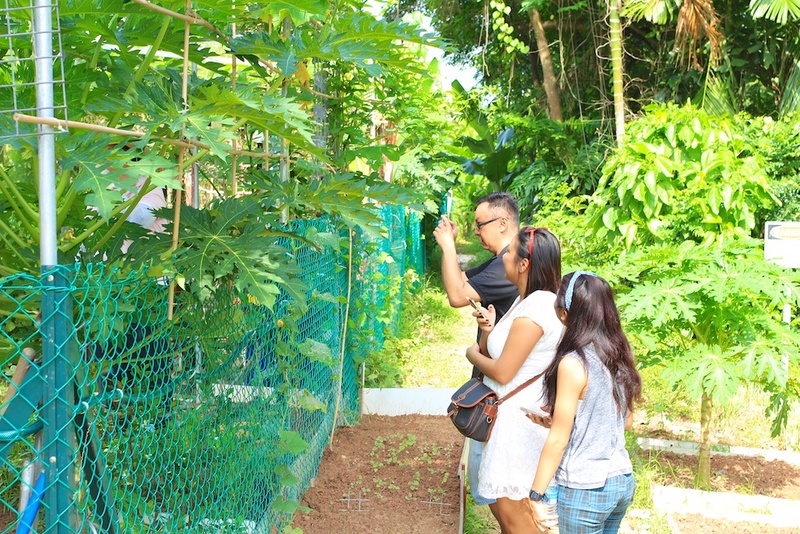 A major highlight of the Clementi Heartlands Instawalk was to visit the Clementi Community Farm for Clementi Residents and to see the community heartlands active in farming and community activities. 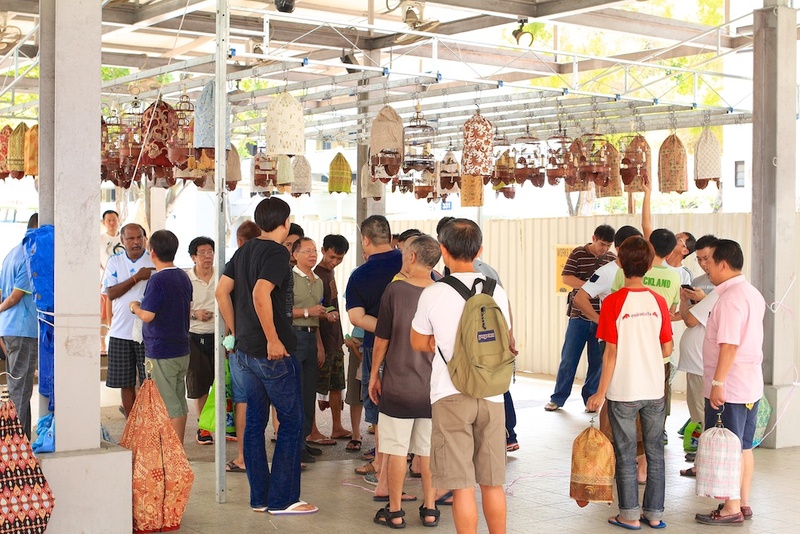 The Clementi Residents were very friendly and shared with the participants about their produces they were growing. The participants spent a bit of time there to look around the community farm and the former KTM Railway tracks that once passed through the Clementi Heartlands. Walking to our next destination, the newest segment of Clementi HDB heartlands, the Casa Clementi HDB blocks at Clementi Avenue 1 there were recently completed and the new tenants moving over to stay in them. We had a bit of a slow walk from Clementi Avenue 4 to Clementi Ave 1, through the various void decks, a distinct feature of the heartlands. We also came across a bird singing competition around Blocks 332 and 333, another unique heartlands activity! 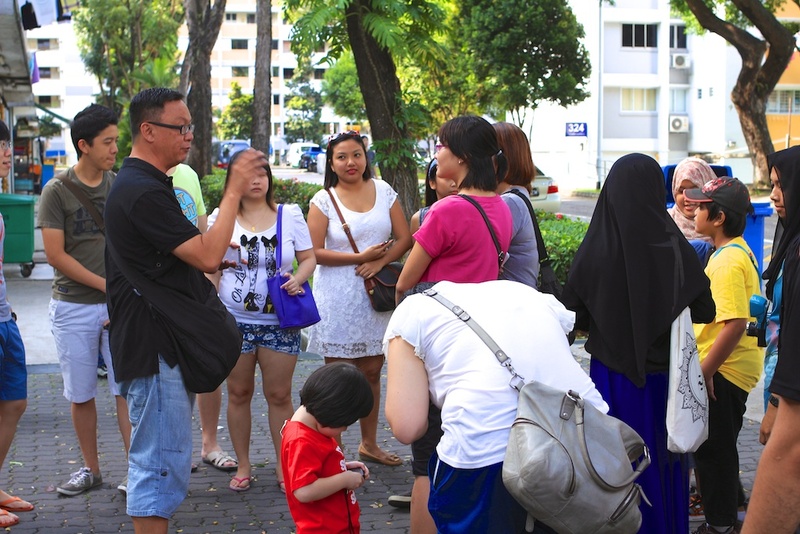 The participants reached Casa Clementi and had a view of the newest HDB blocks of flats, the designs and the beautiful roof top garden for the residents of Casa Clementi and come down to relax and have fun! The SG Heartlands is something unique and special in its own sense, spaces and surroundings. Do go out and explore your Heartlands in your own neighbourhood and the other SG Heartlands in Singapore as well! The SG Heartlands is where we learn, collect and compile our history, heritage, culture, landscape and memories of our past and for our future. Take many photographs of SG Heartlands, remember to tag #SGHeartlands and share them!